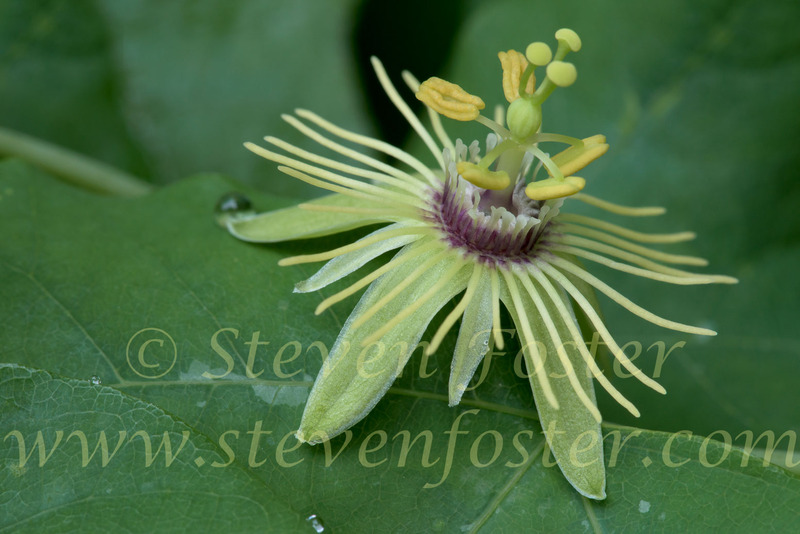 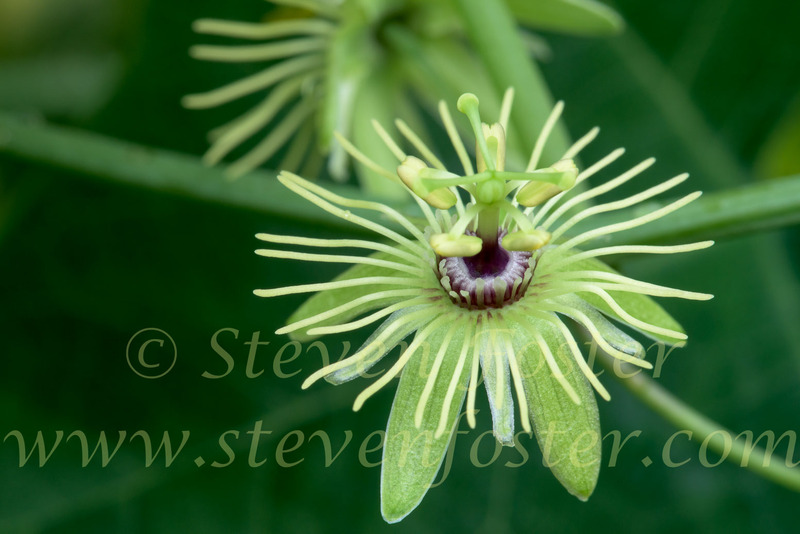 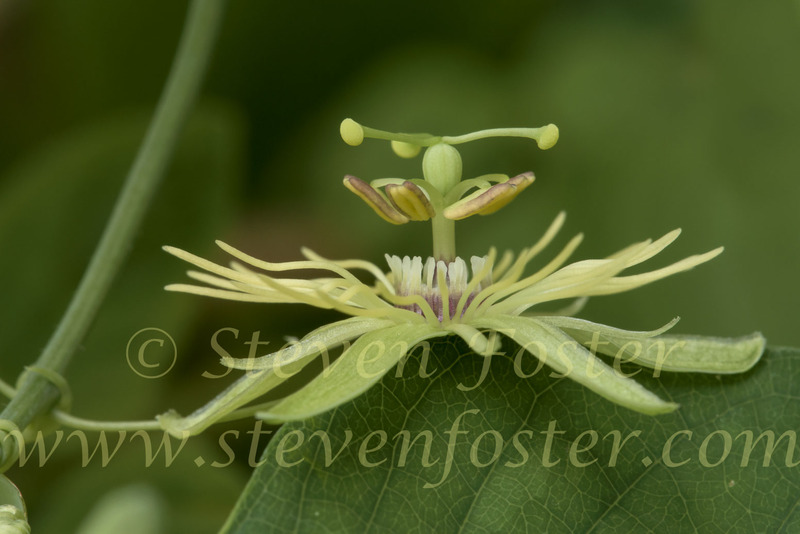 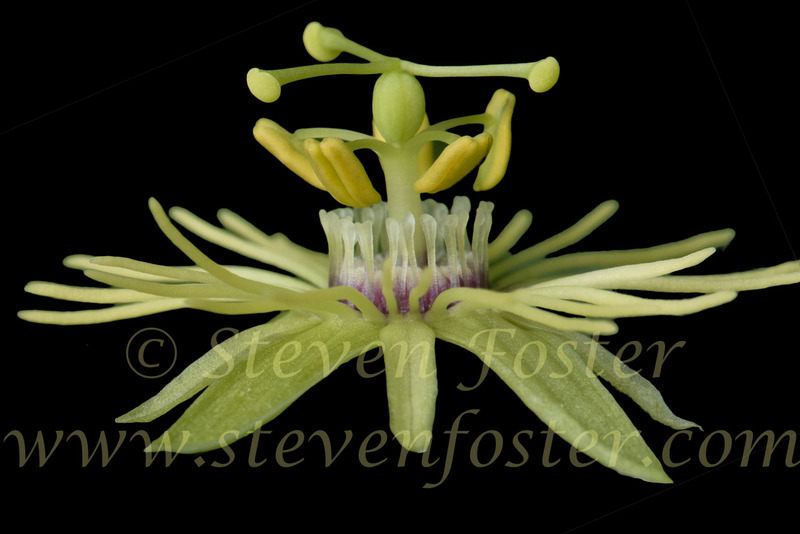 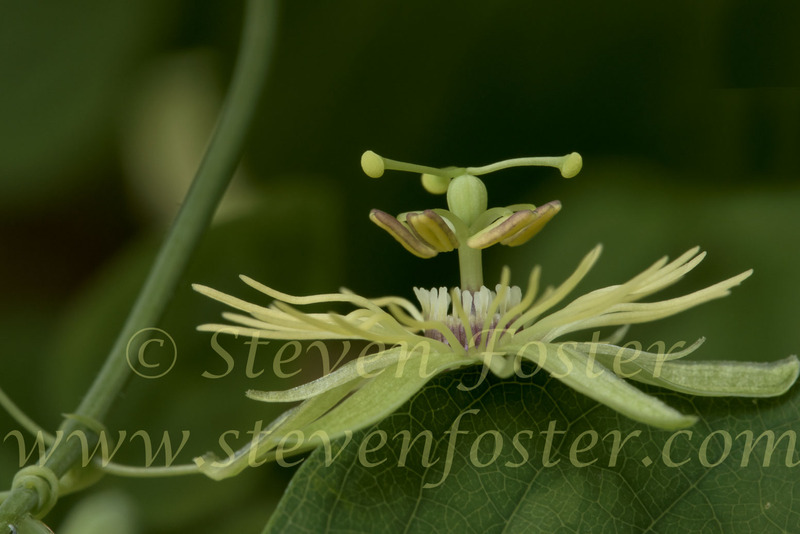 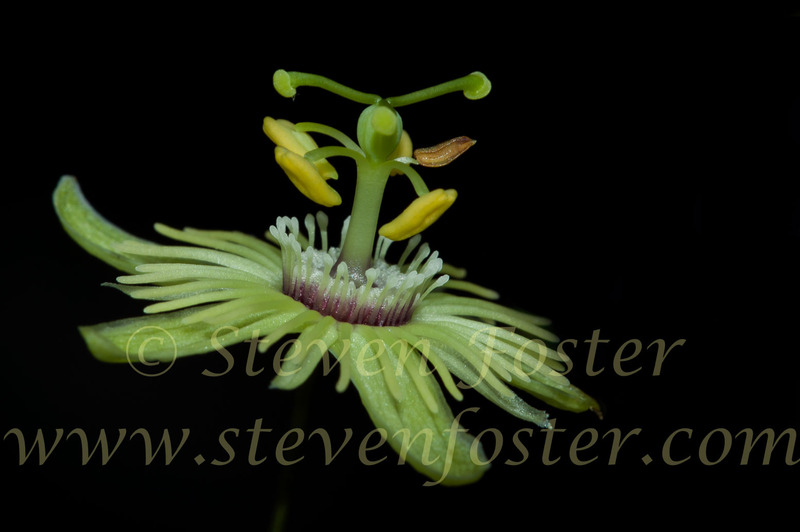 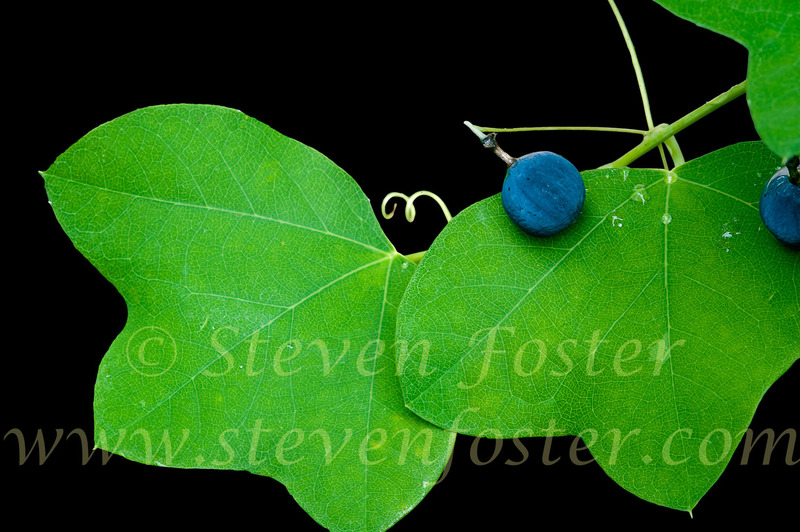 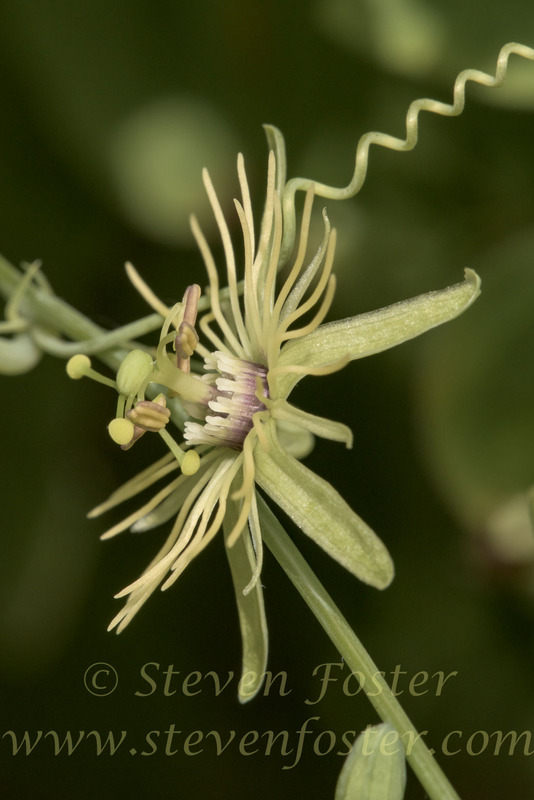 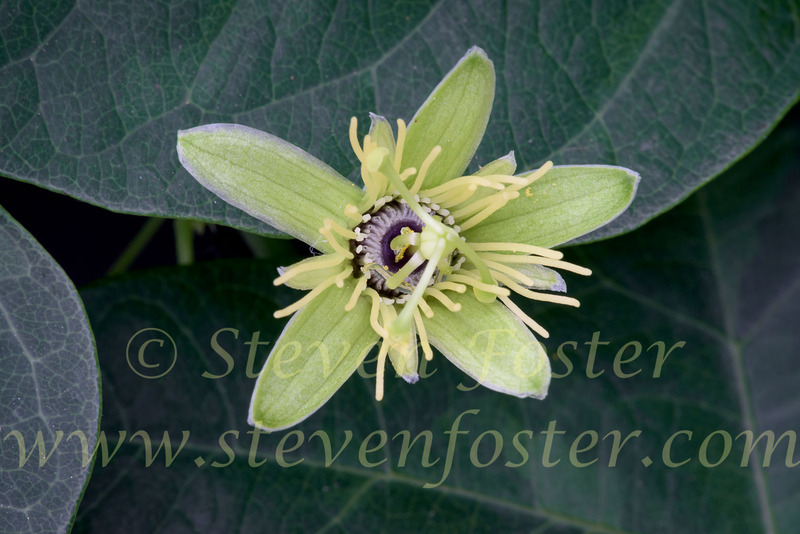 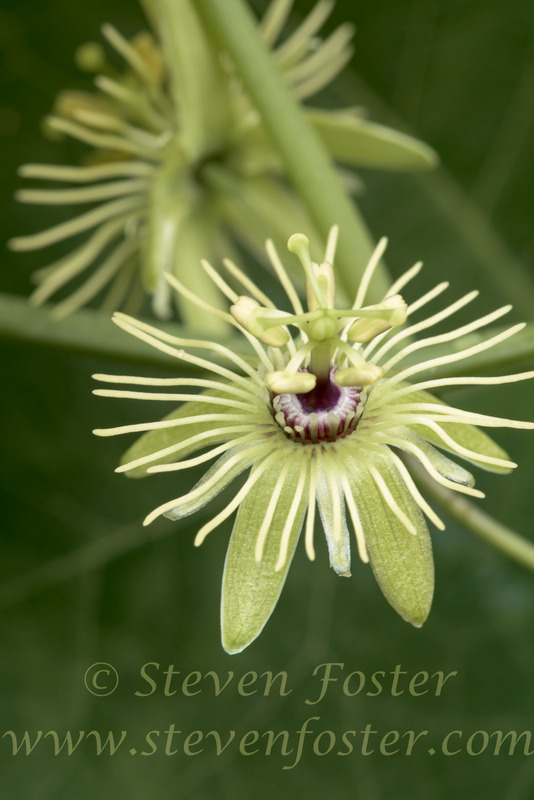 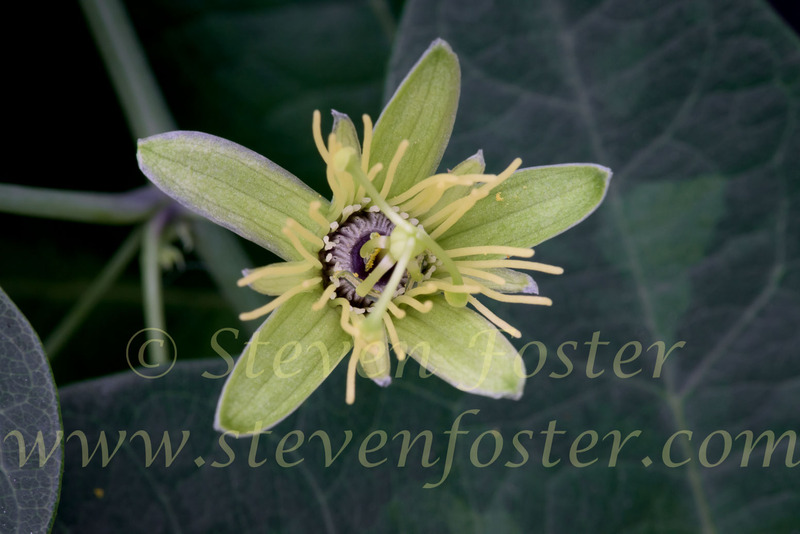 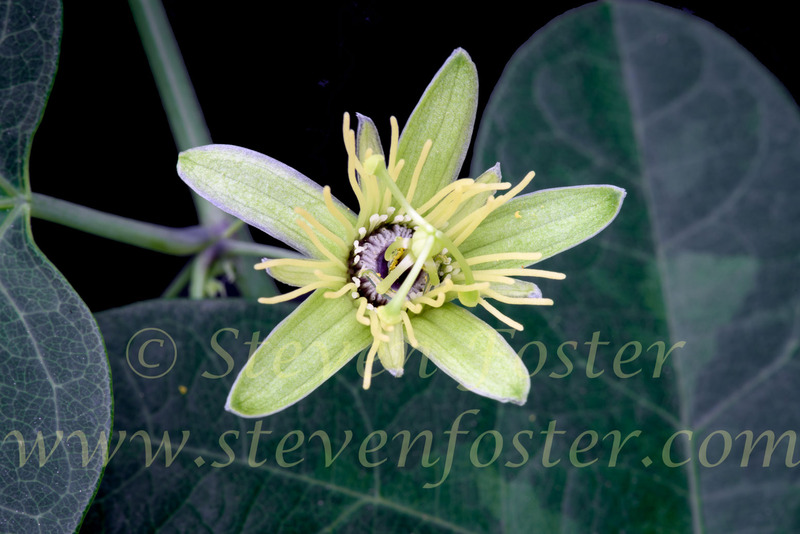 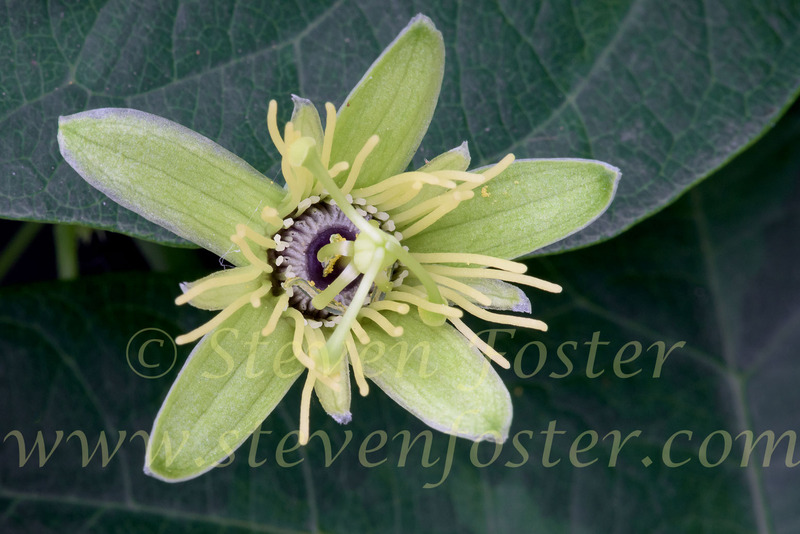 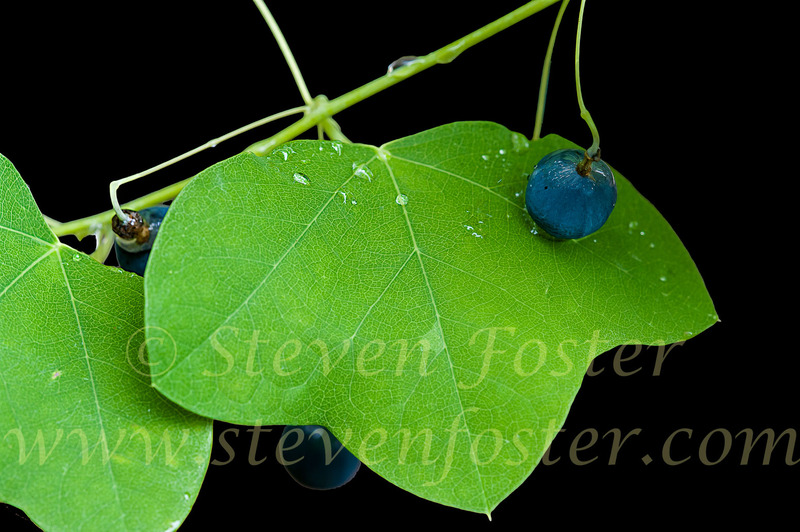 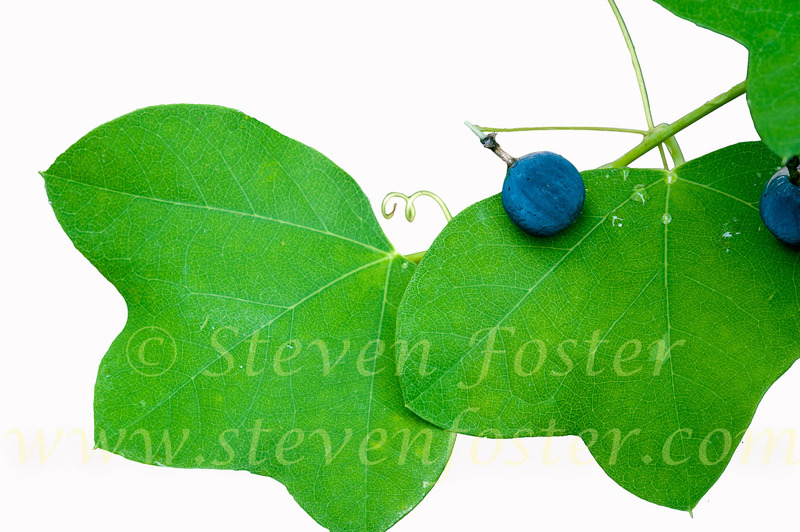 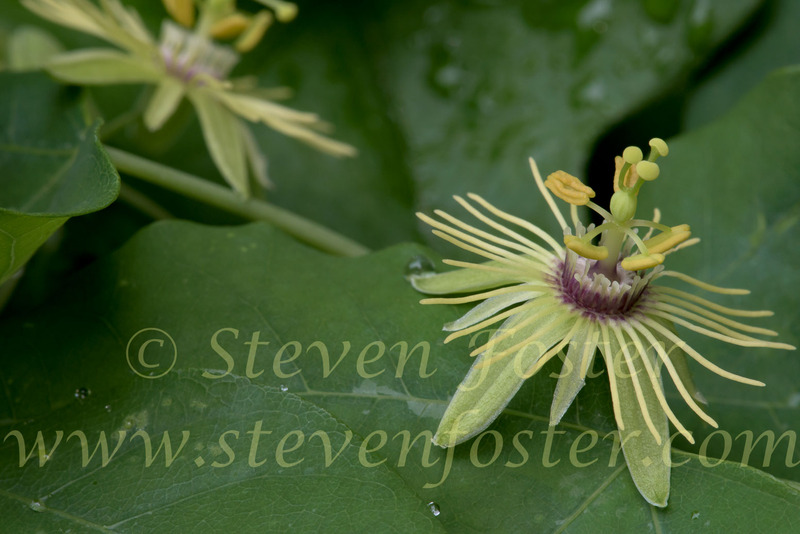 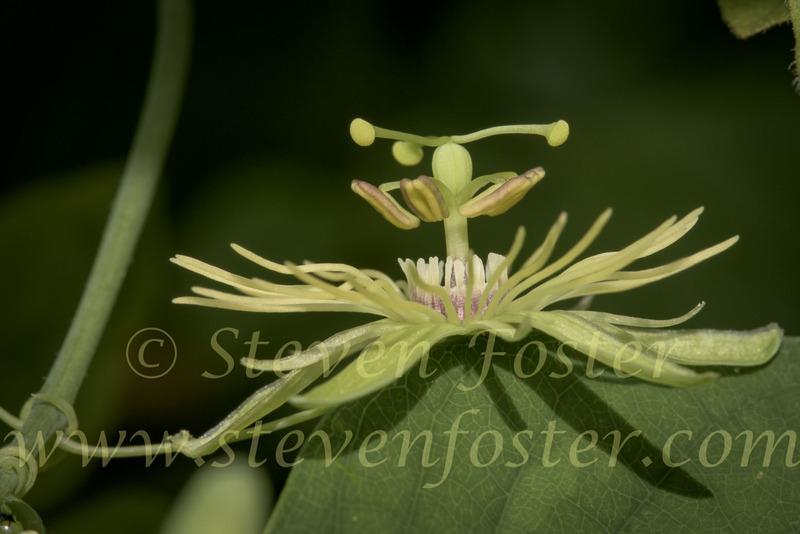 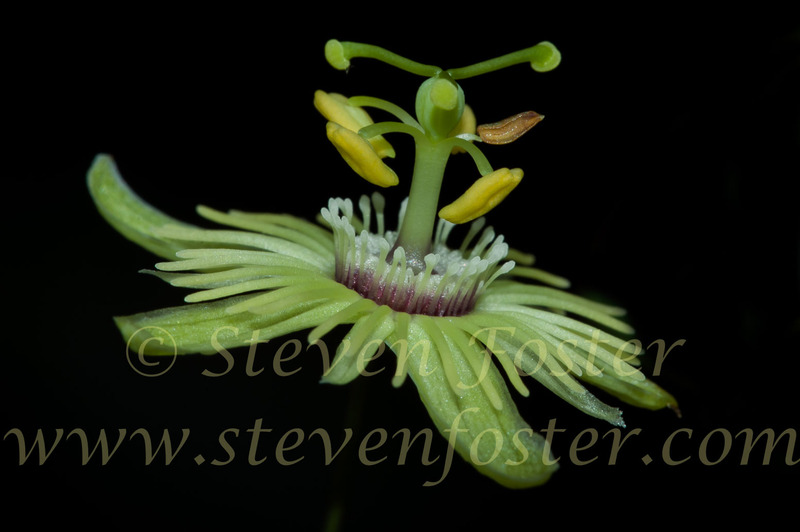 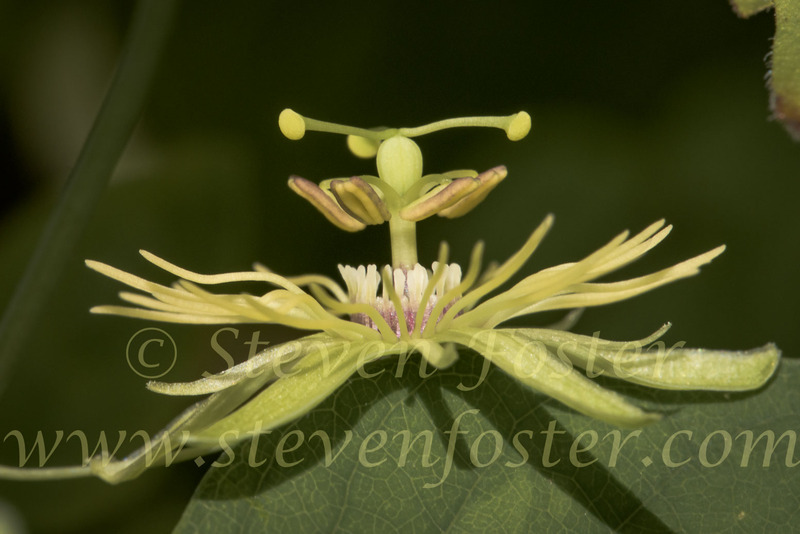 Photos of Passiflora lutea, Yellow Passionflower. 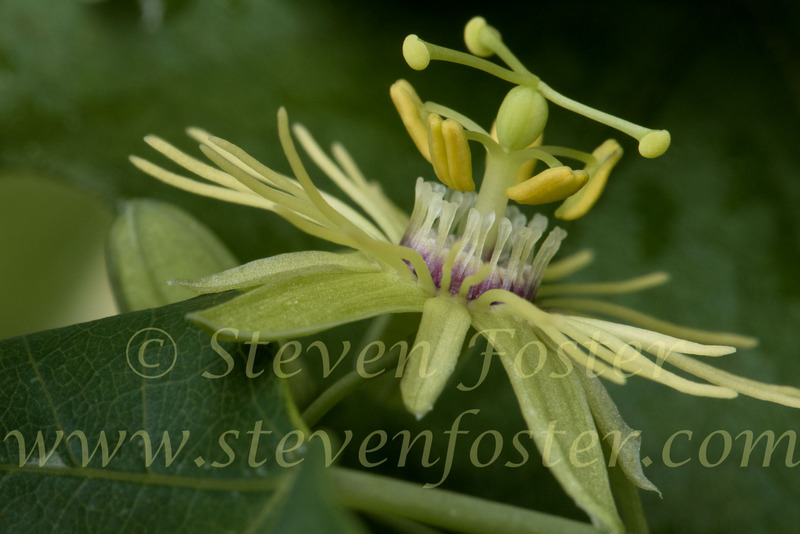 Passiflora lutea, Yellow Passionflower, a member of the Passifloraceae or passionflower family, a predominantly Neotropical American plant group of over 400 species, with three temperate North American representatives including, Passiflora lutea one of the most diminutive of all passionflowers, with blooms barely reaching 2cm in diameter, and fruits the size of a pea. 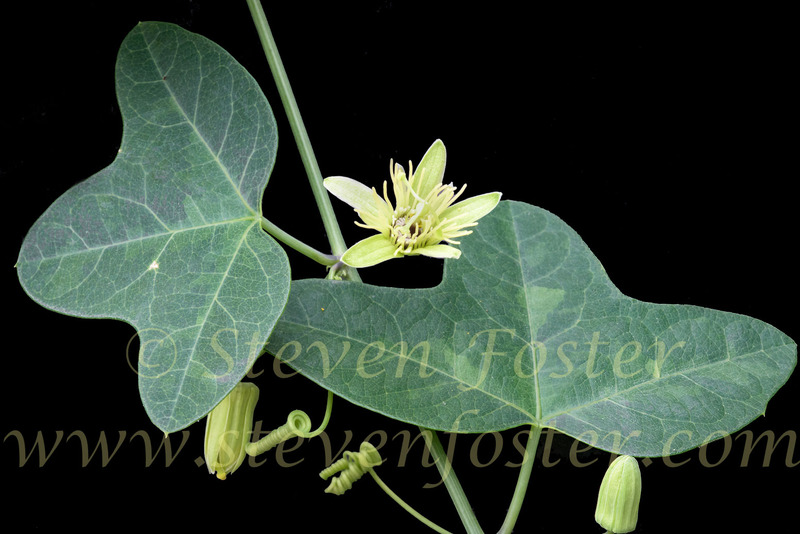 It occurs from Pennsylvania to Florida, west to Texas, northward to Illinois. 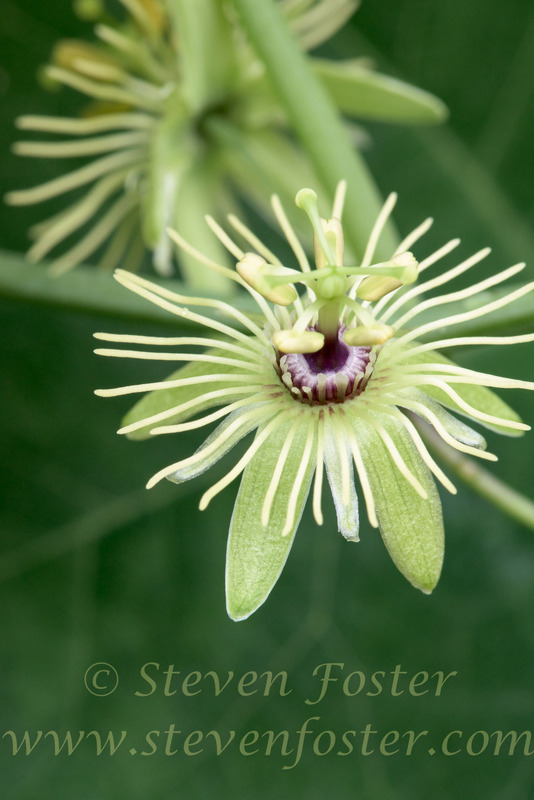 Although yellow wild passionflower is very rarely mentioned in the medicinal plant literature, in 1840 Dr. L. Phares of Mississippi is said to have used this small North American vine interchangeably with the common passionflower. 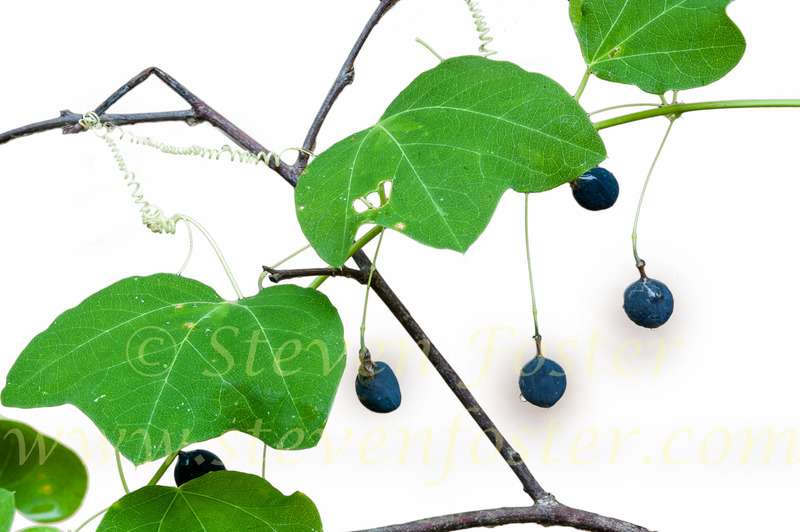 I have made a tincture (alcohol extract) of both plants. 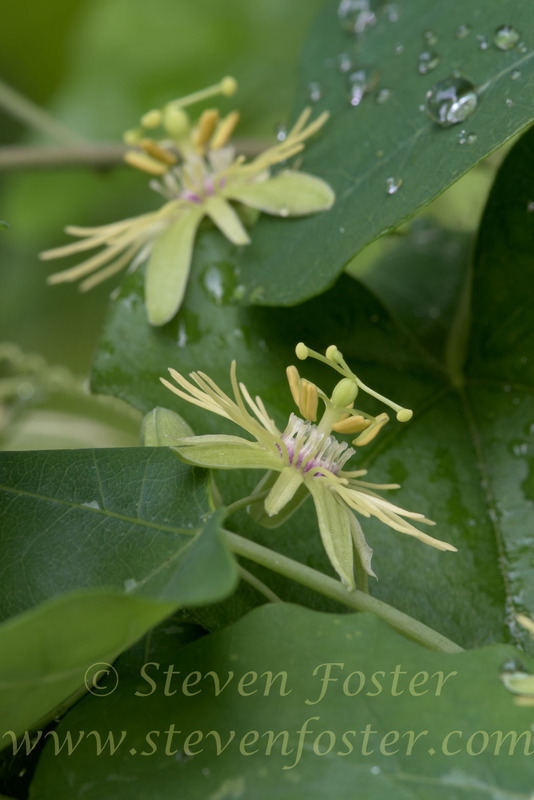 They have a very similar flavor and fragrance. The fruits are decidedly different, though. 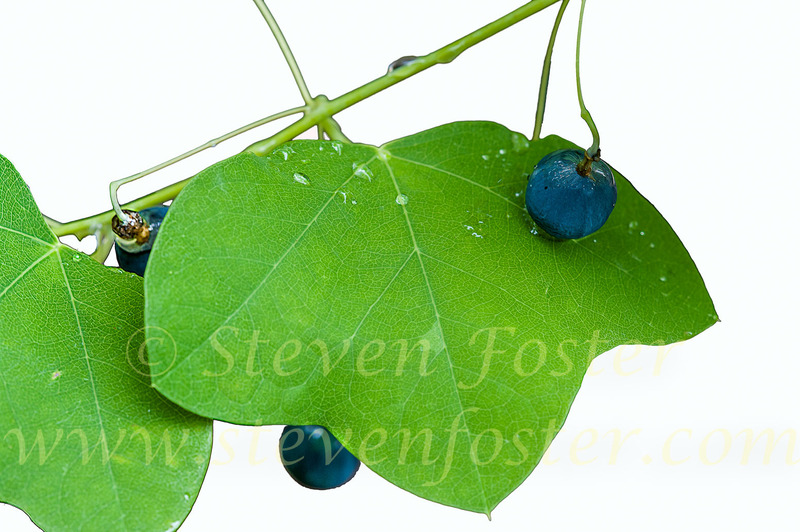 Those of P. lutea are globular black berries, about 1/4 inch across. 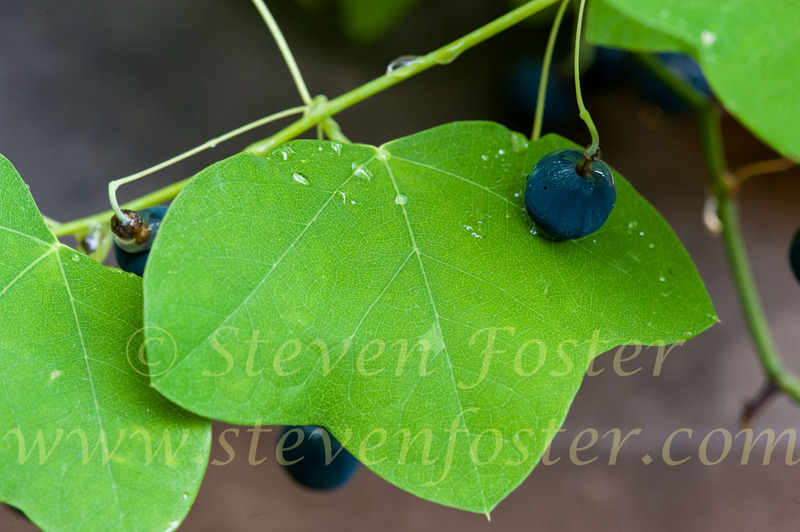 They have a much more acidic flavor than maypop.